Summer is here and with it comes the holidays, fun and countless hours where kids ask ‘what are we going to do now?’ To help you beat their boredom, Open Colleges’ Diploma of Early Childhood Education and Care student, Robyn Fox, has provided 8 activities that will keep your kids entertained for hours so you can get on with your studies. Being a parent is a full-time job, so finding the extra time to study is important. Below, I have listed 8 ways to not only entertain your child but foster their skills, creativity and imagination! Paint a tabletop in chalkboard paint (available at hardware shops like Bunnings). Next, get a range of colourful chalks and give them to your children. 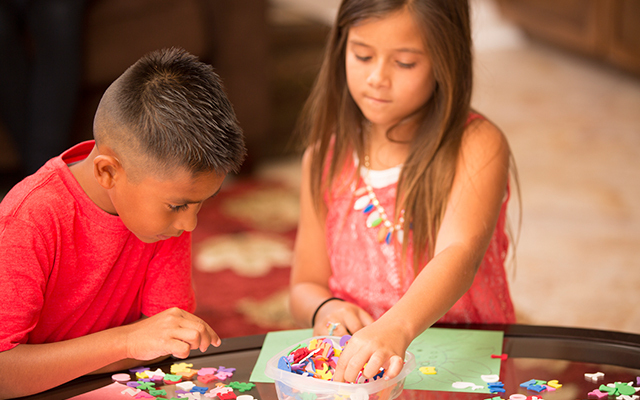 Kids love drawing, and this simple, easy, and mess-free canvas will keep them entertained for hours. As an added bonus, the chalkboard can easily be washed with a wet rag, so your little artists can start again with a fresh canvas. 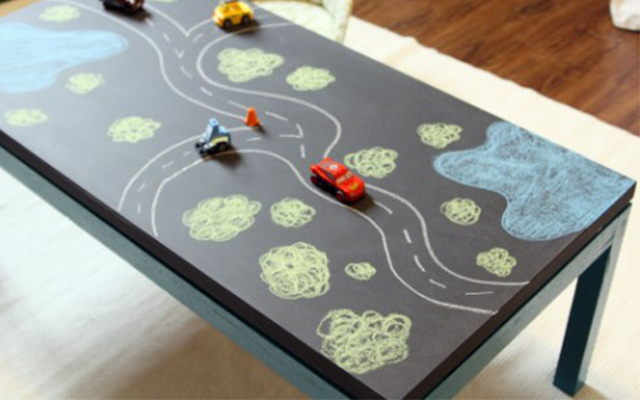 Not only a fun way to spend a day, a chalkboard table helps kids to develop their fine motor skills, as well as their cognitive abilities and coordination, while also being a place where your kids can explore their creativity! Simply squeeze a few coloured paints into a sandwich bag and then seal it shut. Next, tape a piece of white paper onto a flat surface, like a tabletop. Place the sandwich bag on top of this white paper and use tape to secure it to the table top, creating a mess-free finger-paint station. Sit your kids down in front of the finger-painting station and let them enjoy the opportunity to finger paint without getting their hands dirty. 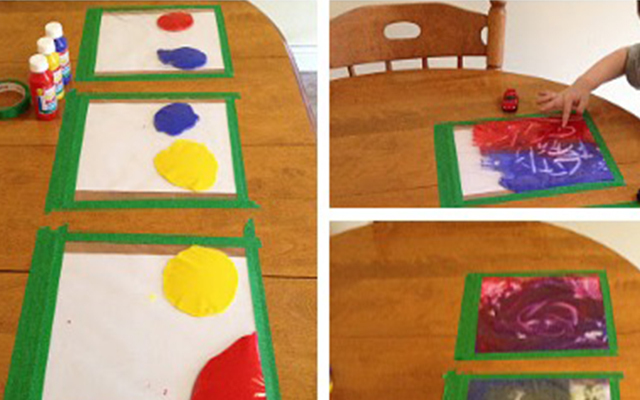 Mess-free finger-painting is also a great way for children to have a sensory experience and to use their creative minds while honing their fine motor skills. Having a ‘busy box’ around can be a real lifesaver when you want to entertain your child. The contents of the busy box will differ depending on the age of your child. For babies, busy boxes can be sensory wonderlands allowing them to explore their physical senses and using them to collect and relate information. Great items for a baby busy box would include items like sensory bottles filled with glitter and blocks. For children over 15 months items like small cars and a road map, as well as stickers and puzzle books are great as they allow kids to have fun while mining their imagination. 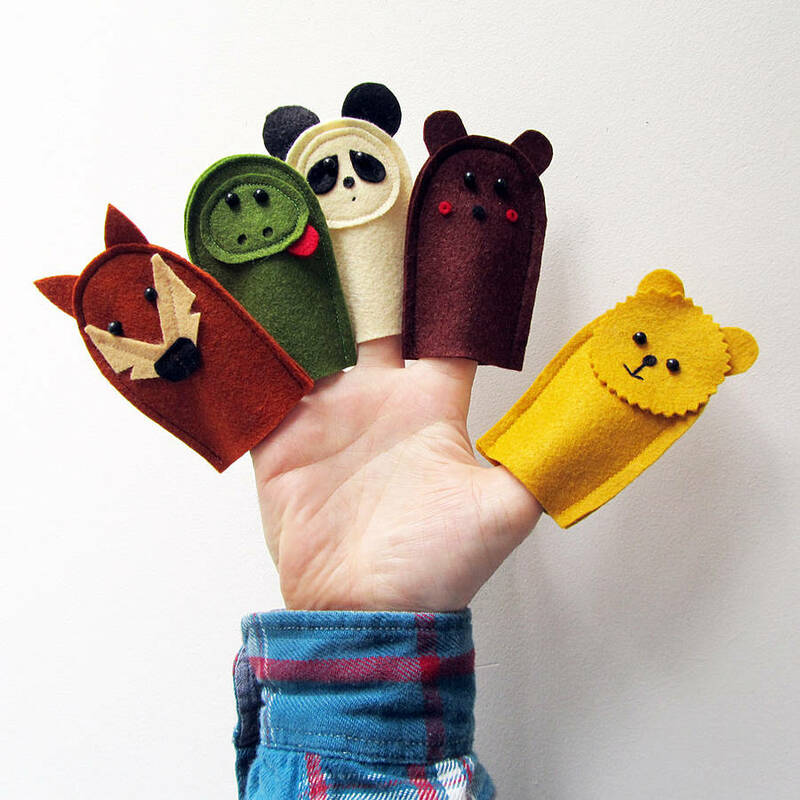 Giving your child finger puppets and a book and having them act out the book with the puppets is a great way for them to experience dramatic play. For young children Old MacDonald Had A Farm is a great one as most will know the song. You can even make the puppets with your children using printouts. The great thing about this activity is that it allows kids to expand on their social understanding and also to hone their language skills. 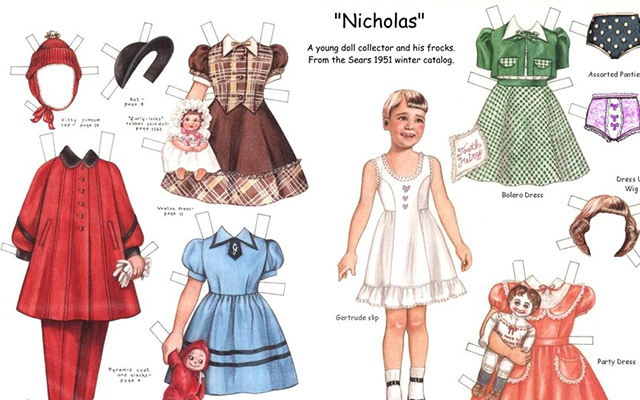 Paper dolls with clip-on clothing are a fantastic way for your child to be engaged in solo play. It enhances the vocabulary and fine motor skills of younger children, while older children can practice cutting and colouring. Also, they can be creative by deciding how to decorate outfits or what their doll will wear – great for their imaginative play. Colour-by-numbers: To colour by numbers, divide a drawing up into segments, and place a small number in each segment, this number will correspond to a colour. Outside of the drawing list the numbers used, and beside each number, write the colour that should be used. Another fun way to colour by numbers is to get a dice, and give each number of the dice a colour. 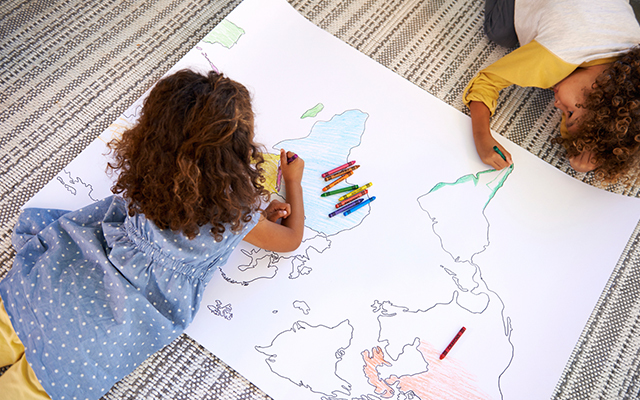 For example, two is blue, three is yellow, four is red… Children can roll the dice and whatever number the land on, they have to use that colour on that segment of the drawing. If you don’t want to create your own colour by numbers drawing, there are thousands of free downloadable colour-by-numbers pictures on the web you can print off. Colour-by-dots: Place small dots of colour on the picture so your child knows what colours to use on each segment of the drawing. This is a great activity to promote colour recognition in young children. Colour puzzle: Cut up a colouring-in page and make it into a puzzle. Again, there are millions of free printable colouring pages online you can download and print for this activity. 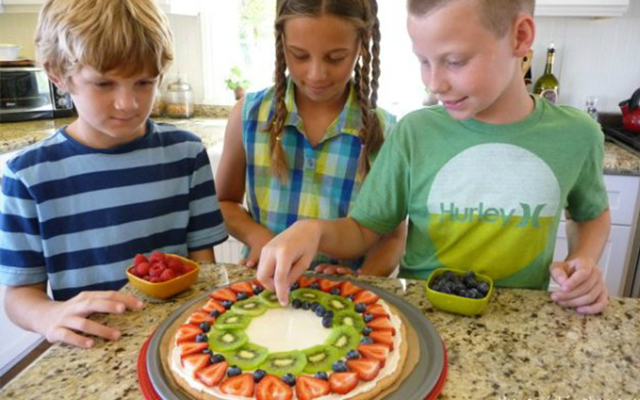 Your child can make a fruit pizza with a variety of chopped fruit and a base like a pancake or wrap. To help them, first wash their hands and then put out a range of chopped fruit. Using these ingredients, your child can activate their imagination to create a fun fruit pizza, perfect for hot days! As an added extra, you can give them things like dried coconut and chopped nuts for sprinkles. This is a great way to expose your child to healthy food and for you to have a yummy snack with them while you are on your study break! Start by blu-tacking some paper to a wall, table top or floor. Next give your child a stack of stickers and some crayons and let them loose. Children love to decorate paper with stickers and it’s a great way for them to practice their fine motor skills. 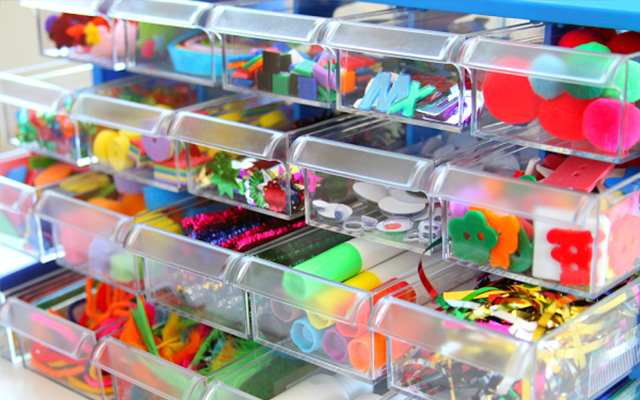 A sticker station will allow your child to stay busy and engaged, and also to use their creative skills. When you are studying and learning, your child can learn too. 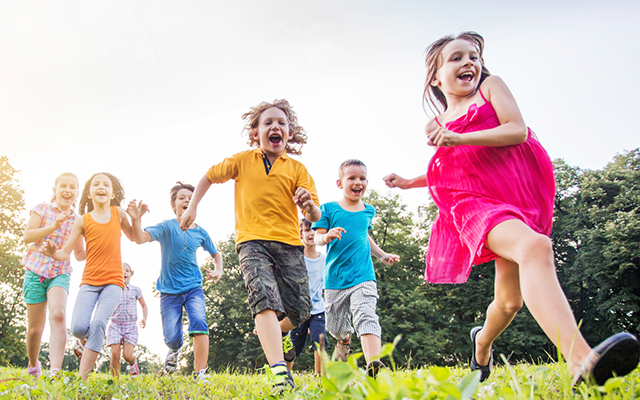 Children benefit the most from learning through play, so by allowing your child to learn through educational and engaging tasks, you can keep them entertained while you study. These tasks let your child grow their skill set while having fun – what more could a parent ask for?! If you’re looking for a career that fits around the kids, training to become a teacher’s aide could be the perfect choice for you. Learn around your commitments to start a career in the classroom. Find out more here.